Life is Such an ADVENTURE. So many think it’s Hard, “Bad”. Kids to adults. Failing to realize its Outcome, that we CAN have…simply by THINKING. “An ADVENTURE. WHAT can I…LEARN!” And Realizing there IS a reason for it. PRAISE, and See what comes about. WAIT! YOU WHILE …..K N O W.
Posted on 30 January '13 by Living Documents, under Red Elk Speaks. No Comments. Red Elk lives a bit off the grid, and he has always had to use an aircard to send me or WS emails for us to post on this site to share with you. There have been some developments lately. 1. Red Elk has needed to rest for health reasons. 2. His aircard somehow gets used by others in the home and the bills surprise him with over $300 monthly charges. It is just too much for him to continue right now, and unless a company will restrict the useage so he can just stay on his emails, his correspondence via email and the blog will be ending (for now unless a new alternative is found). I have in the past ran some Kickstarter campaigns, where I helped raise money for projects for people. Instead of using Kickstarter, Red Elk has agreed to let me directly talk to you the reader about this project idea. I have a number of Red Elk’s work backed up, and I need the resources to get this work completed and out to the world. In no way, do I want to take from Red Elk’s donations by people who are generous and giving when they feel called to support. Here’s how the projects are scheduled out to go. #1 The Egg book (This is a coloring book with a beautiful story that Red Elk wrote and illustrated himself years ago before he had the shakes). I need to hire a friend who will give me a low rate to restore the images back to their original design). This will be two different types of books. One will be a coloring book, with the same story in the back, in black and white where a child/or you can color in the story yourself. It’s a very inspired story and beautiful to be book. I will also create an inexpensive black and white coloring book with the story.This is the first project. #2 The server that this website was on crashed and although we pay the server company to have backups there were none. There is however some back up files given to me from WS and others who have kept some of the work, and I need to rebuild this blog. We are missing 2/3 of it and all the information that was available to the public. While I rebuild the blog, I want to turn it into Red Elk Speaks Blog books so people can have the information on hand, as or if ever needed. 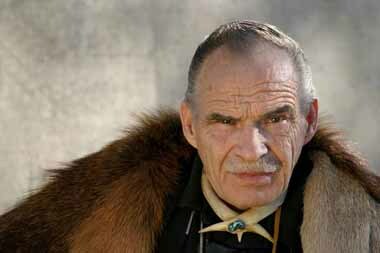 #3 There is an old book of Red Elk’s out called “The Agenda” – I would like to get that out. 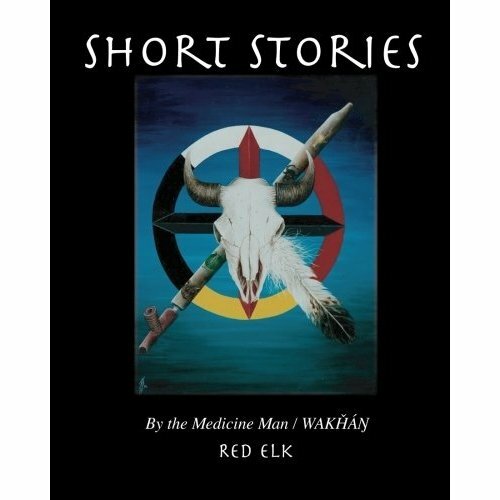 Currently, Red Elk and I are doing an audio interview of his book Short Stories. He is able to call in on an 800# and I am recording it while I ask him questions about the “tellings” in his book Short Stories. This is a good alternative to keep producing work for the world until we can do more. If you feel called to donate you can use the donate button with a note, that it is for a project. Red Elk receives the monies from the sales of the work created and to be clear, should something happen to him, his wife is the beneficiary, then family and etc. We will end this Red Elk “kickstarter” experiment on Valentines Day! Posted on 10 January '13 by Living Documents, under Message From Heather, Red Elk Speaks. 7 Comments. Red Elk’s Short Stories is available on Create Space. If you want a .pdf copy, you can email heather@tkweb.com. Posted on 10 January '13 by Living Documents, under Red Elk Speaks, Tellings. No Comments.